Bryan Ferry has undergone tests in hospital after pulling out of an event due to illness. 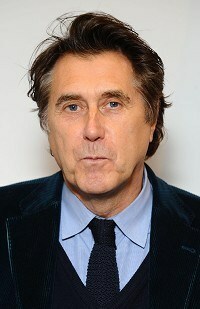 The Roxy Music singer had been due to attend a sports function at the O2 Arena in south-east London. Bryan, 65, renowned for his style and charm, has recently toured around the UK and Australia with Roxy Music. The star's spokesman said: "He was having tests as a precautionary measure, having felt unwell recently." Bryan has had a recording career spanning nearly 40 years, releasing Roxy's first single Virginia Plain in 1972. Last year he released his latest solo album Olympia. As well as touring with Roxy Music earlier this year, he was also on the bill for a celebration event for Mikhail Gorbachev last week at the Royal Albert Hall, alongside Dame Shirley Bassey and Paul Anka. He also has a European solo tour lined up, starting later this month.